Viknesh Vijayenthiran March 28, 2017 Comment Now! 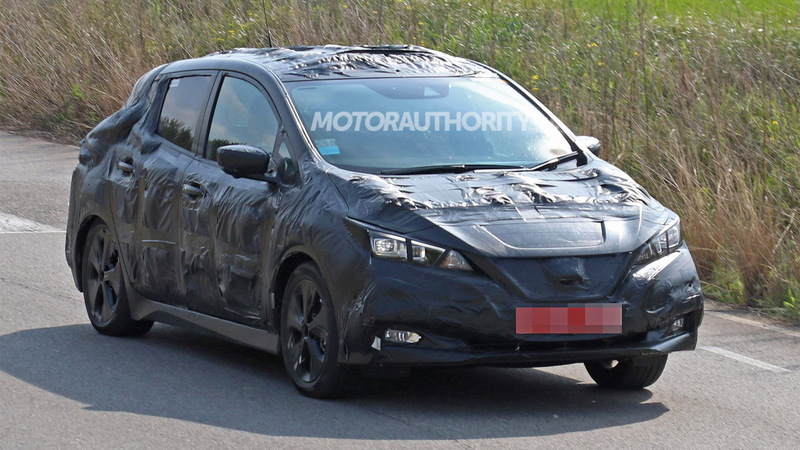 A prototype for the next-generation Nissan Leaf has been spotted again. 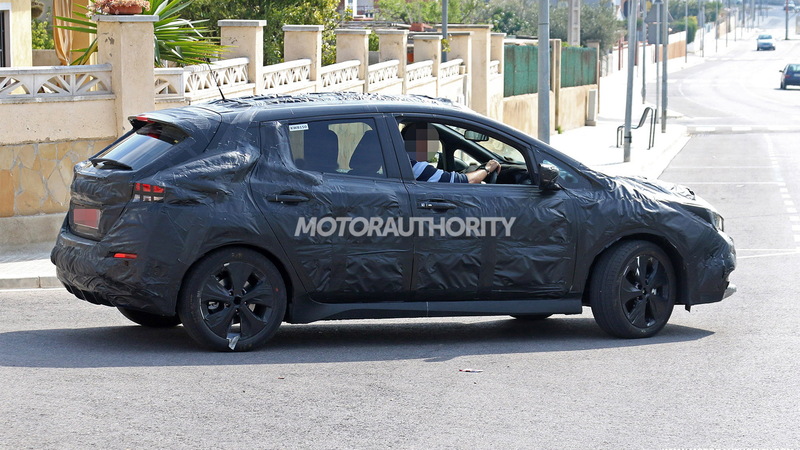 The redesigned electric compact hatch is expected to debut later this year, as a 2018 model. The current Leaf was the first electric car to truly go mainstream. Before its arrival for the 2011 model year, getting a pure electric car to production with a standard set of features and a price the general public could afford had eluded the industry. However, the Leaf has since been overtaken by pretty much all rivals. The latest version has 107 miles of range and is priced from just above $30K. That range is substantially lower than what the similarly priced Chevrolet Bolt EV offers (238 mi), and is lower too than the range offered by rivals such as the BMW i3 (114 mi) and Hyundai Ioniq Electric (124 mi). Nissan should remedy this with the redesigned Leaf, though it’s not clear what the new range will be or whether there will be options. 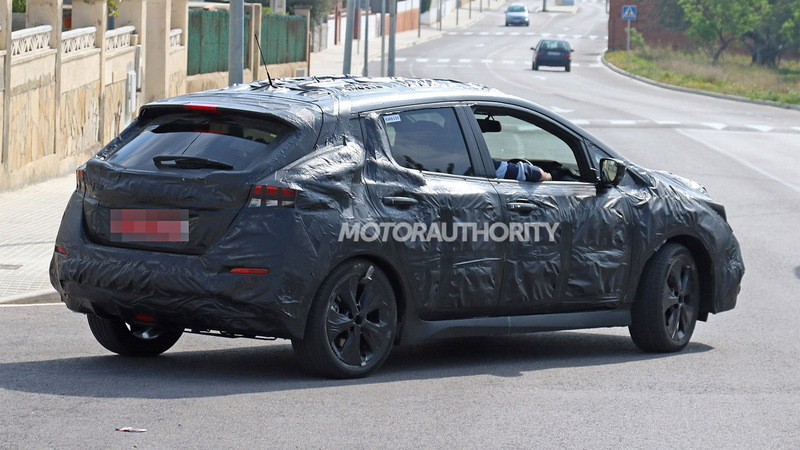 Based on hints from Nissan executives, the maximum range will likely be between 200 and 250 mi. For this, the battery is expected to be a 60-kilowatt-hour lithium-ion unit with similar dimensions to the current Leaf’s 30-kwh unit. Green Car Reports indicates that a more affordable 40-kwh may be offered as well. 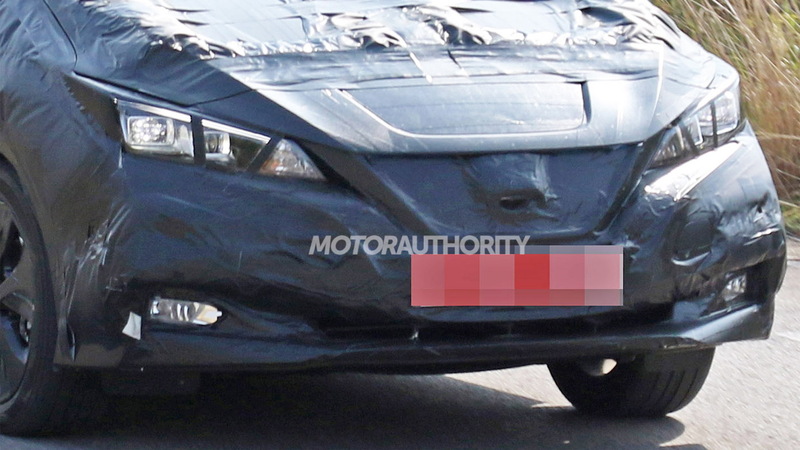 Our spy shots reveal a more conventional design for the Leaf, with influences clearly taken from Nissan’s IDS concept car unveiled at the 2015 Tokyo auto show. Signature Nissan styling cues include the V-Motion grille and floating roof. 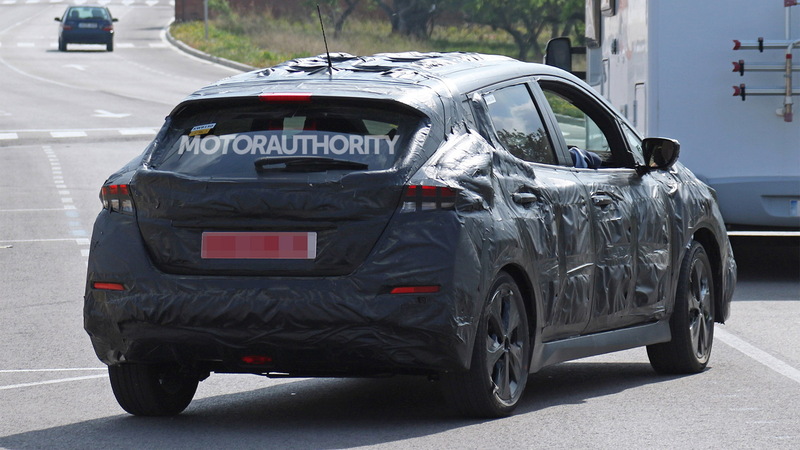 The doors look similar to the units on the current Leaf, suggesting that the basic platform and some of the body of the current car will be carried over. Expect Nissan to add some self-driving features, too. The automaker has labeled the technology ProPilot and in its initial form the system will enable a car to crawl in traffic, cruise on the highway and keep track of surrounding vehicles on its own.